Brew up and raise funds for dementia! Whether it’s hosting a coffee morning, baking your own delicious cakes for a sale or getting the gang together for a nice cup of tea, ‘Brew Up’ is a great way to help raise money for dementia care! Brew Up encourages people to bring together friends and family for a fun way to show support for the estimated 14,000 people in Dorset living with dementia. Taking part in Brew Up could not be easier. Just decide where you’d like to hold an event, invite your friends and family over, pop the kettle on and collect those donations! It doesn’t matter how big or small your event is – everything you raise will go towards dementia services and help make a real difference for our patients with dementia, their families and our staff. 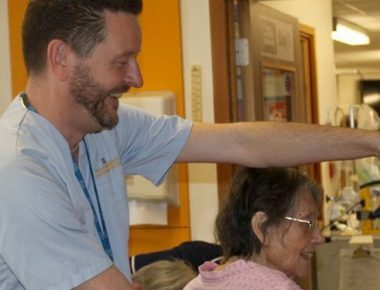 For more information about our dementia care projects, take a look at our dementia projects page. To find out more about Brew Up or for help and advice organising your event, contact our Events team on 01202 704060.